So, the dog became dear to Shivananda Sen. The dog didn’t do any seva. All he did is just follow, and whatever else dogs do. And when Shivananda Sen was delayed and he had to give dog a special meal. So, he made some special rice, only for the dog. But while he was gone, they forgot to give him that special rice. Shivananda Sen was looking everywhere, couldn’t find him. When he finally came with all the party to Puri, he went to see Sri Chaitanya Mahaprabhu. Shivananda Sen was alone. He went to the Gambira and he saw two people all alone, Sri Chaitanya Mahaprabhu and the dog. How did he get there? It’s a mystery! It was just the two of them. Lord Chaitanya had some green coconut pulp. 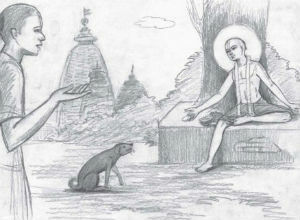 Sri Chaitanya Mahaprabhu took a bite of the green coconut pulp, and took it out of his mouth, and threw it at the dog. And the dog jumped up and had it. It kept doing like that. They were having a pastime together. Shivananda Sen, it describes, he bowed down to the lotus-like paws of the dog. That was how he honored that dog. And we read in the Sri Chaitanya Charitamrita, the next day dog was nowhere to be found. Sri Chaitanya Mahaprabhu sent him to Goloka Vrindavan, the spiritual world. What was his qualification? This dog, he wasn’t doing any intense sadhana. He wasn’t doing any puja. He was attached to a devotee. So, one may say, “If he was attached to the atma, then why was he feeding the body of the dog? Why was he so concerned with proper meals, proper transportation? He had to pay for him to go on boats.” Because the body is the medium by which we could serve the atma. But what is the intent? A mother and father have to care for their children, have to care for the physical [health] of their children. But is the motivation to liberate their souls? “By serving this person’s body I can actually somehow or other give Krishna to their soul.” And if that’s what will really do, then the body is the medium. Yes, Shivananda Sen was very concerned with the body of the dog. But his purpose was to bring him to Lord Chaitanya, so he could get that mercy. And somehow or other, because of that kindness, the dog became attached to him. 24 Responses to "Material and spiritual attachments"
Superb article and very hope giving! If only we get attached to a pure devotee of the Lord, our lives will be perfect! Wonderful article! So much to learn from it! Wow amazing differentiation of being materially and spiritually attached. Very nice story of the dog. Very difficult for us to see others on the platform of the atma. It will take a lot of sadhana to be able to come to that level. I agree with your point. We need lot of sadhana to be able to come to this level. However, Sadhana itself will not be sufficient. Ultimately, it is possible by Krishna’s mercy only. Agree. Also we need mercy of devotees. Thanks Radhanath Swami for this beautiful description. This is the perfect example the demonstrates the principle of altruism on spiritual basis. Welfare activities has to be done not just on the platform of body- but also on the level of Mind & Soul. Holistic care… that’s the message. Too good … what we need to do is be like that dog, always try to be in the association of a pure devotee …. and your attachment to Krsna is guaranteed …. Thanks a lot for giving such a sweet, simple yet sublime solution …. Bhaktivinod Thakur has written a song where he aspires to become a dog in the house of a devotee. 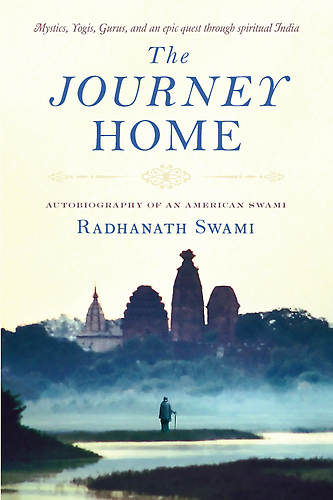 Thanks Radhanath Swami for the enlivening story. 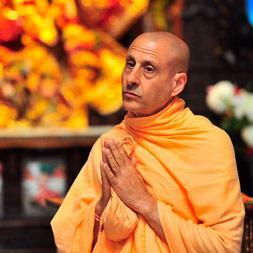 Thank you Radhanath swami. You have nicely explained how to serve the soul through the medium of body. many times, this point is missed out. We see that people, who don’t have knowledge of the soul, serve just the body, and those we knowledge of the soul, most of the time, neglect the body and become hard hearted. However balance is important. thank you for enlightening us. Brilliant point. As Radhanath Swami Maharaj explains in the article, ‘it’s a fine line’. Truly great point by Radhanath Swami… Serving the soul through the medium of the body. Wonderful example is cited by HH Radhanath Swami. Now a days we can see many people are having dogs as a their pet animal. They are also claiming that they are compassionate towards such animal and they take proper care for them. But it is all external care they are doing. No one is thinking about the soul and spiritual development of the soul. Here Shivand Sen was taking care for dog with just intention to bring him to the Lord so he can have mercy of the Lord. Great lesson we can learn that just by attachment to devotees can protect us from great danger and help us to develop love for the God. Attachment to devotees is surest way to get mercy of the Lord. Radhanath Swami describes that the only qualification of the dog was to be attached to Shivanand Sen. And the dog received mercy of Lord Chaitanya. The concept of soul is well explained. Hare Krishna. Simple story with profound message to dwell.